Mariposa Villa Apartments is a property fully dedicated for disabled persons 18 years and older. This beautiful two-story apartment building is located in the city of Irvine and beautiful mountains surround it. The University of Irvine is within walking distance of the building. Newport Beach is eight miles from the building. There is a path that has a breathtaking view of the mountains. The residents are very friendly and take pride in their home. 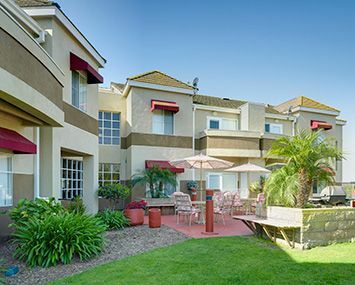 Mariposa Villa Apartments does not allow smoking in any common areas, and within 25 feet of the building. Amenities include a laundry room, exercise equipment, wheelchair access and air conditioning. Our building is a great place to live! Included in this senior Section 8 property in the rent are heat, A/C and utility allowance. Mariposa Villa Apartments is proud to be recognized as a NAHMA Communities of Quality Corporate Partner. This designation is for multifamily properties that have achieved a high standard of excellence in the way they are managed, the services they provide residents, the experience and training of personnel, and other criteria.